There are many ways to save money on office space. You could choose a work/live space and put together a home office or scour the market for low-priced, inconveniently located Class C temporary spaces. Or you could to what numerous successful businesses do: rent shared office space or sublet office space from another company. Shared office space is exactly what it sounds like. Two or more companies choose to pool their resources towards leasing a commercial space, thus saving money on expenses like a reception desk and mail room while renting only the space they need. Office shares work well for complimentary companies, entrepreneurs and telecommute-centric companies where employees might only be in the office for just a few days every week. Choosing a shared office means you'll be able to move into your space easily and likely have access to basic office equipment like printers, copiers, etc. 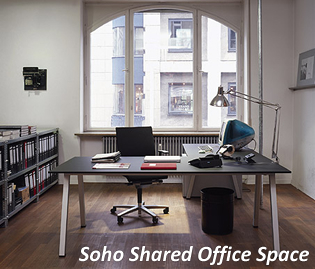 Organizations that choose office shares have much lower occupancy costs and fewer capital investment requirements. Needless to say, shared office space is very popular with start-up companies. If you are interested a shared office but would prefer less direct involvement with your cohabitants, New York Offices recommends that you sublet office space. A sublet agreement allows one organization to assume part or all of another organization's rented office space for the duration of the sublessor's lease. In most cases, companies that sublet office space occupy an unused portion of an office, but a number of sublet agreements cede an entire office to the sublessee, almost always at a discount. New York Offices offers a matching service to any organization interested in possible office shares, connecting businesses seeking a shared office with those offering unused space. We also offer companies looking to sublet office space access to comprehensive listings of every available sublet in the city. If you are interested in a shared office arrangement, we can help you locate the best situation for your unique needs. It is best if you call us directly or fill out our Broker Assisted Search form to review all available shared offices on market.